Rockstar Energy drink is returning for the eighth year as the official energy drink of one of the most exciting motorsports competitions on the planet – the Lucas Oil Off Road Racing Series. A leader in the energy drink field since its creation in 2001 and marketed in more than 30 countries, Rockstar will have a significant on-site presence during the 8-weekend, 13-race Lucas Oil Off Road Racing Series schedule. They will be title sponsor of the Rockstar Energy SoCal Shootout presented by Toyota, March 24-25 at Lake Elsinore (California) Motorsports Park and the Rockstar Energy Battle South of the Border presented by Lucas Oil May 20-21, at Ensenada, (Baja California), Mexico. Rockstar will also have television exposure on the 24/7 MAVTV Motorsports Network, CBS and CBS Sports and Lucas Oil Racing TV, the first streaming TV network dedicated solely to the world of motorsports. 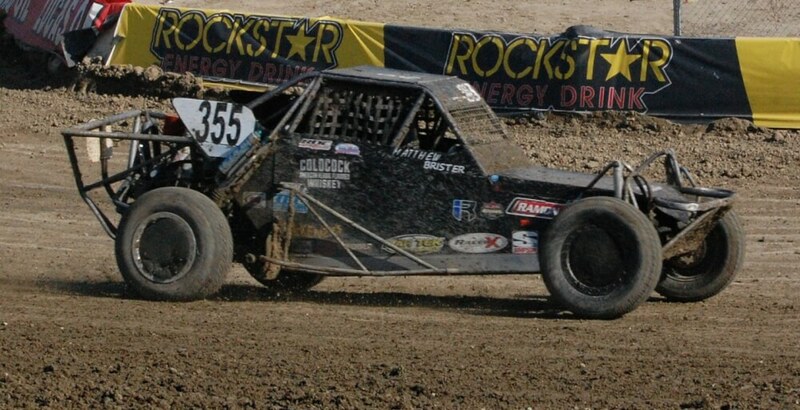 Rockstar also sponsors Rob MacCachren in the Pro 2 and Pro 4 classes, RJ Anderson in Pro 2 and Ryan Beat in Pro Lite.